Torrential rains can cause torrential flooding. So can broken water pipes. If your home or place of business has experienced flooding, you must act quickly to secure water damage cleanup in NJ. Eco Tech provides full-service water restoration for NJ residences and workplaces that have been the victims of flooding. Prompt action is important in order to lessen the level of damage to an area and to prevent a possible mold infestation. 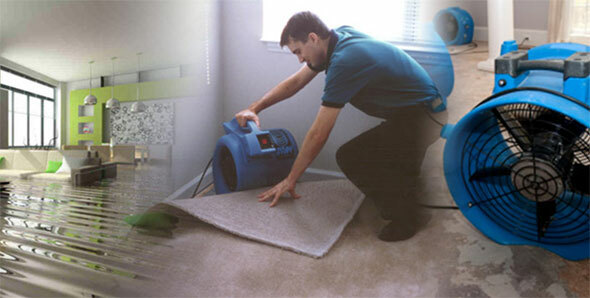 Water damage restoration in New Jersey involves trained technicians who are experts at quickly and thoroughly removing water from a flooded structure. We work fast, because we know that the longer water sits, the more harm that can be done. When doing water damage cleanup in NJ, our goal is to restore your flooded areas to their pre-flood conditions as quickly as possible. We mentioned mold, because it is a serious concern. Our technicians who perform water restoration in NJ know that it doesn’t take mold long to start growing, and a damp environment is the ideal place for this to happen. Any substance into which water can seep is potentially a breeding ground for dangerous mold. This includes wall boards, wood floors, furnishings, clothing, furniture and more. The quicker water damage restoration in New Jersey is initiated, the better chance we have of preventing the spread of mold. Should mold growth be suspected, we can perform a thorough inspection to confirm this and determine where mold exists and how much of it there is. If you fall victim to flooding, the first thing you need to do after ensuring that all lives are safe is to call Eco Tech and order professional water damage cleanup in NJ. We’re standing by to help in any emergency. Call 833-277-3100.